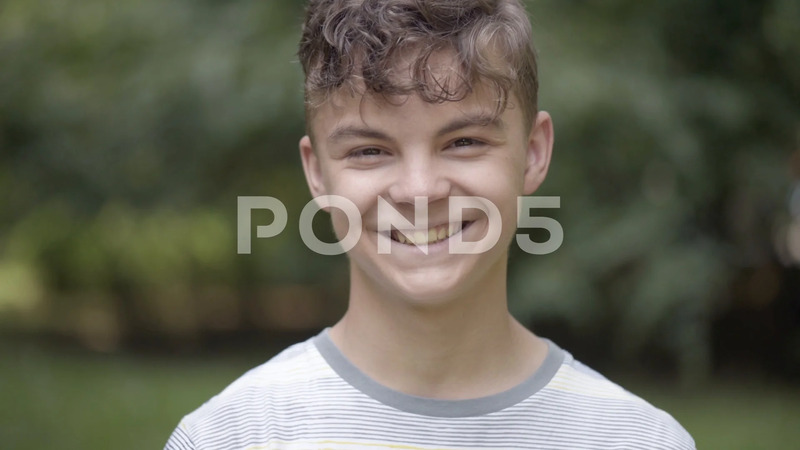 Description: Close up emotional portrait of caucasian smiling teen boy. Handsome guy. Funny cute teenager in summer park at day. Child looking at camera.